SYNOPSIS: A British action classic! 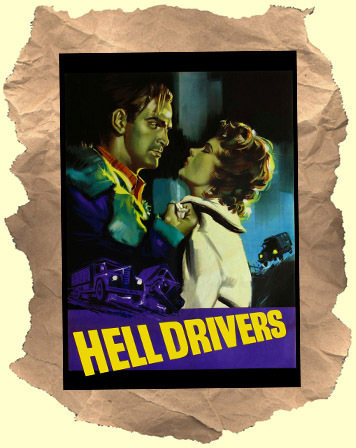 Baker stars as a drifter who gets hired at a shady truck hauling company. They pay big for drivers to get the job done not matter the cost or risk! All the workers are roughnecks and Baker has to prove himself worthy while wooing Gun Crazy starlet Cummins at the same time. McGoohan is great as the fastest, toughest, hauler "Red" who locks horns with Baker. And Lom stands out as an Italian outcast who befriends Baker. Look for impossibly young co-stars Connery, McCallum and Ireland! WIDESCREEN!